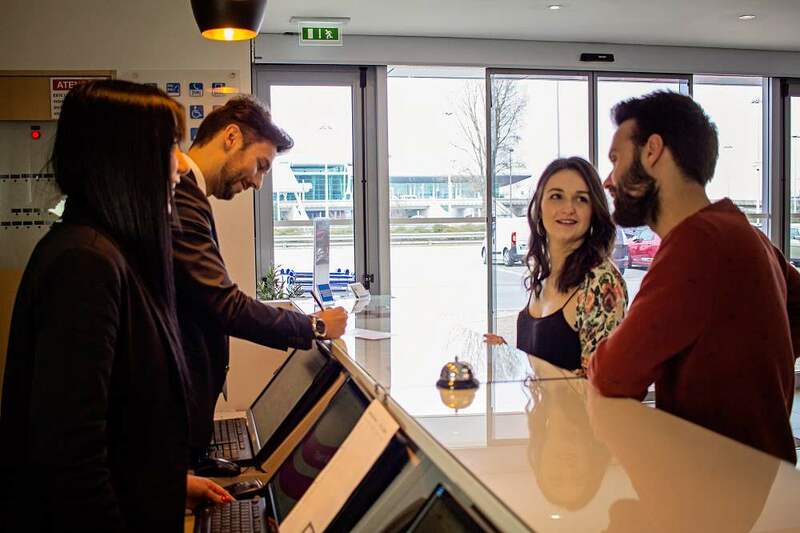 Your Hotel in front of Oporto Airport! 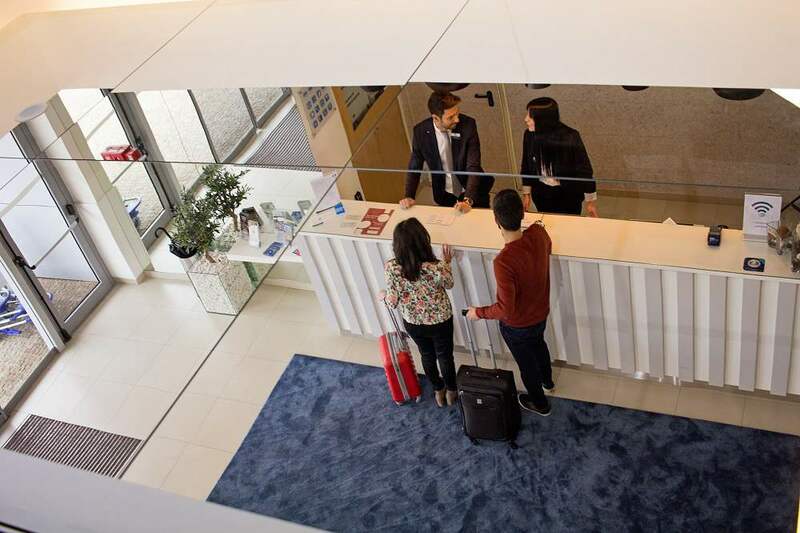 Located only 5 minutes away on foot from the main Oporto Airport terminal building, the Park Hotel Porto Aeroporto offers 143 confortable rooms and 4 meeting rooms, all with free wi-fi access. 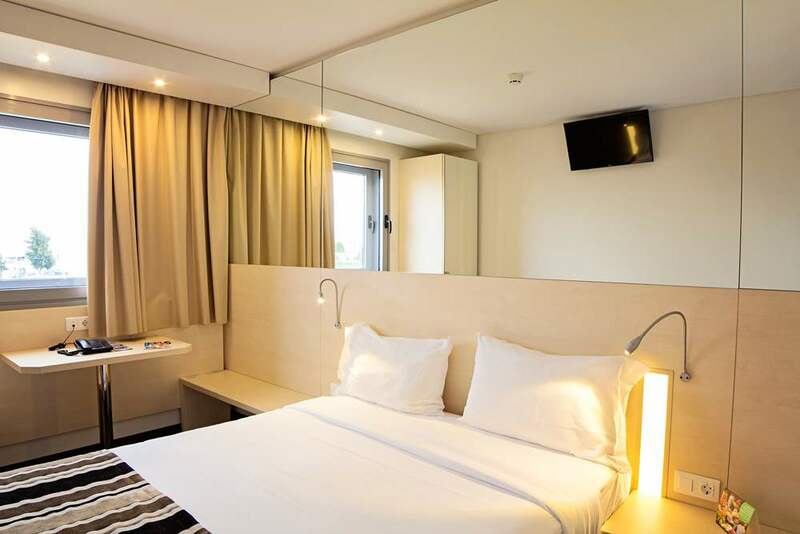 All the rooms are equiped with a functional bathroom, cable tv, air conditioning and work desk. 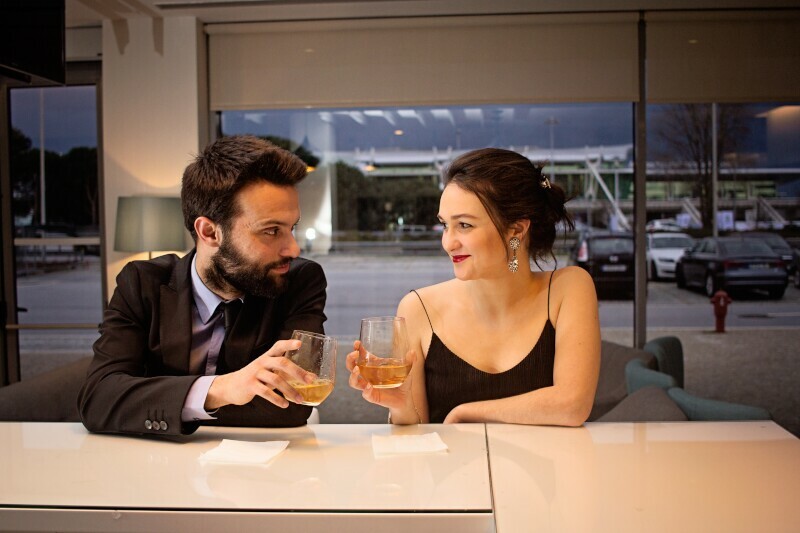 The hotel has a 24-hour front desk service and a bar for refreshing beverages and snacks. There is also a restaurant for lunch and dinner. 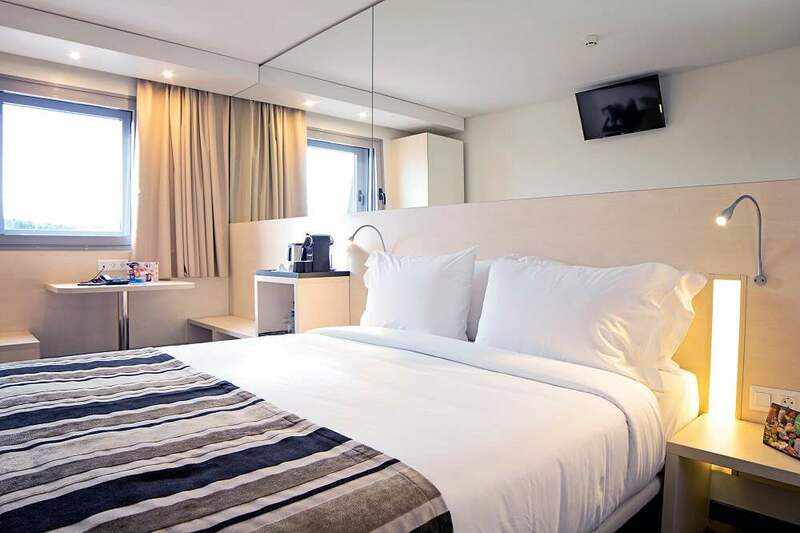 The Botica Metro Station are a 2-minute walk away and offer convenient access into Oporto City. Easy access to the main roads acessing Porto. Parking facilities for 80 vehicles and 3 buses. 20 minutes, always motorway: Europarque. 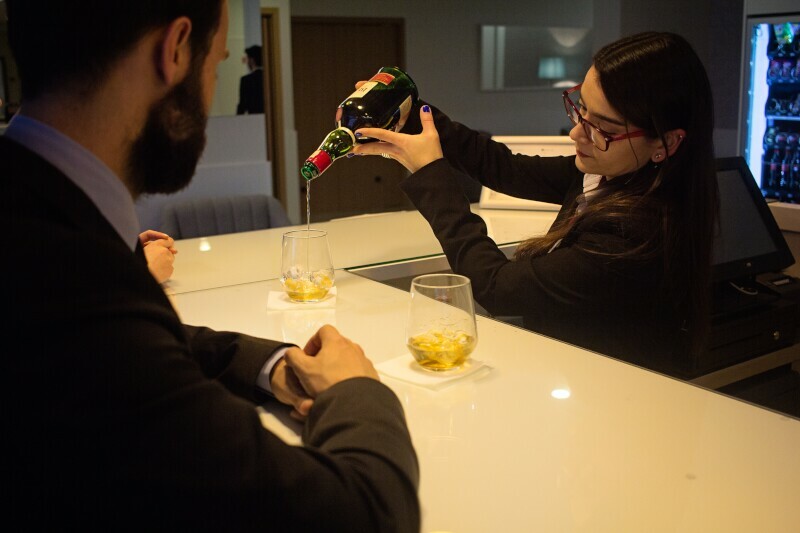 The Hotel is only 3/4 minutes away on foot from the main Porto Airport terminal building. 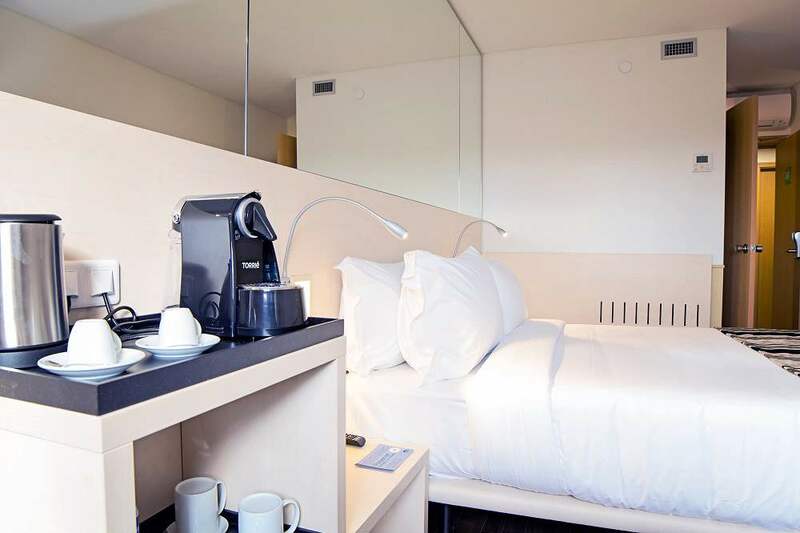 It is the closest hotel from Porto Airport. From the hotel you can go on foot to the building airport and vice versa in 3/4 minutes using the public sidewalk. When you walk out of the airport building you should turn to your left to the first zebra crossing and, always following the central public sidewalk, you see the signs to the Hotel. It is suggested that, before making the walking route from the Hotel to the Airport, ask at the reception which is the correct way to do it in order you follow always public sidewalk for pedestrians. The areas around airports are usually unfriendly to pedestrians, so this information will be important. You can also use a shuttle that regularly does this route, asking at reception. There are 2 metro stations (Aeroporto and Botica), the traditional restaurant "O Fernando" and a petrol station just around the corner. It is also less than a 10 minute walk to the weekly market at Pedras Rubras, a bank, cash machines, and more restaurants. 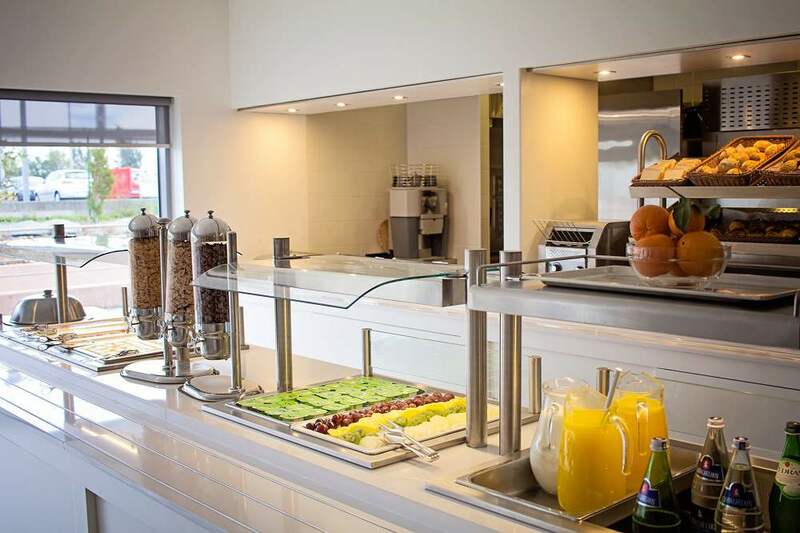 Ask at the Park Hotel reception for information on nearby restaurants with good, local, homemade dishes at reasonable prices. You can park your car in the large hotel parking, just opposite the Airport, at prices similar to those practiced throughout the zone, retrieving it when returning from a trip. 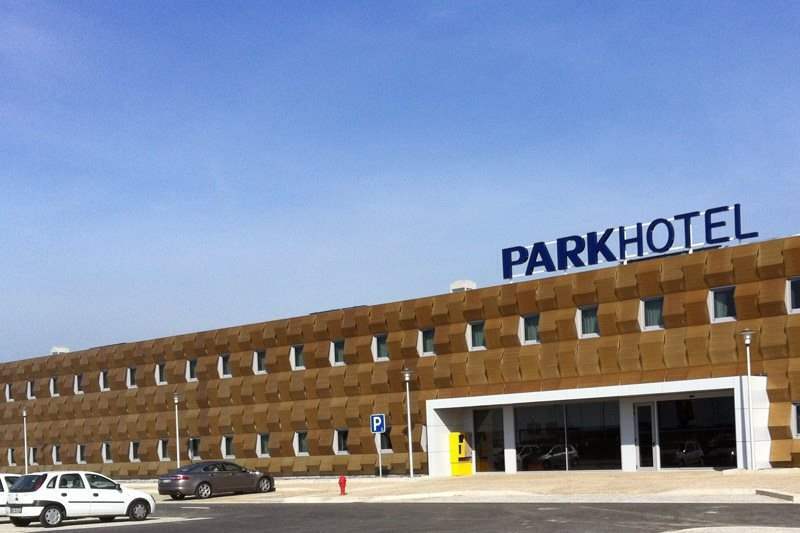 DON'T FORGET: Oporto and Gaia, the Trás-os-Montes region, the north of Portugal and Galicia can all be reached easily from the Park Hotel Porto Aeroporto by road (A1, A3, A4, A41, IC1, IC2, IC28, IC29, etc.). 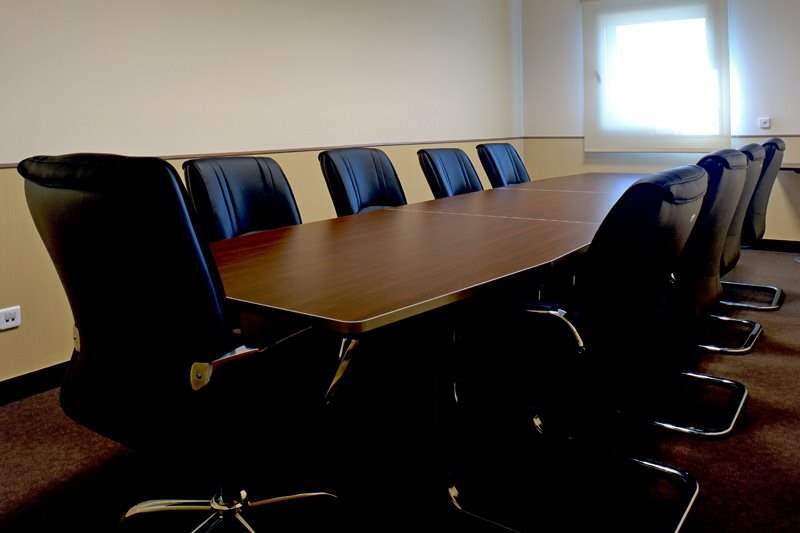 Meeting rooms are available for work or conferences. Their location so close to the airport makes them perfect for use between flights. 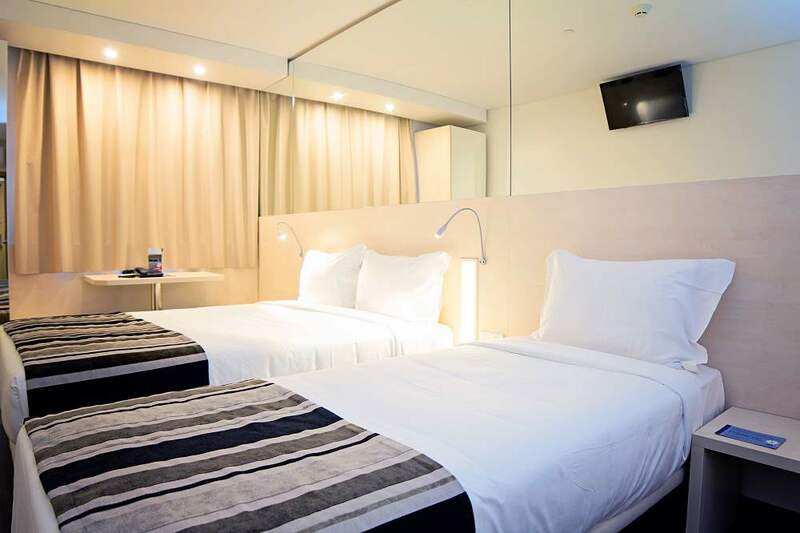 The Hotel is located less than 20 minutes from Braga and Guimarães. Less than 30 minutes from Aveiro or Amarante. Less than 1 hour from Viana do Castelo, Coimbra and Vila Real. And less than 2 hours from Vigo, Santiago de Compostela, Chaves, Bragança or Guarda.